ARTEH® - Hotels and Resorts has searched for you the Best Available Rates online, the best Special Offers, Promotions and Packages of the ARTEH® Hotels. If you found a better rate published on any other Website for an ARTEH® Hotel, for the same room type and number of people, for the same dates, with the same meal plan and taxes, for the same Special Offer, Promotion or Package, please contact us to the following email reservations@arteh-hotels.com. Please note that there are many ways of publishing rates online and that the rate published doesn’t always correspond to the amount you pay in the end. Thus, we will verify the rate you sent and if the conditions of your booking request are the same, we will do our best to match or improve it. In the ARTEH® Website the Hotels publish their Best Available Rates online and these may (or not) include the value of the meals and/or taxes depending on their policy or applicable legislation. Furthermore, some Hotels change their rates daily. Your feedback is important to guarantee that the Best Available Rates online of the ARTEH® Hotels are published on the ARTEH® Website. 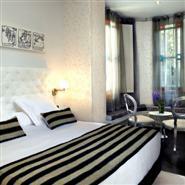 See the ARTEH® Hotels' Packages and Promotions. See the ARTEH® Hotels' Special Offers.